Please choose from the Albums below to view the Image Galleries. The event saw cars make the trip from Japan, New Zealand and even the US. The event was held in August at Eastern Creek Raceway. The event attracted huge crowds on both Friday & Saturday and there was plenty to see including static displays & trade stands. Sonic Performance displayed a range of products and sponsored several entrants of this awesome event. Look forward to next year!! On Tuesday the 26th of July 2011 Sonic Performance attended Paul Ruzic's Queensland Time Attack Series which Sonic Performance is proud to be onboard as a sponsor. The event was held at Queensland Raceway and welcomed several cars doing final testing for the following week's World Time Attack Challenge event to be held at Eastern Creek Raceway in Sydney. Best of luck to all our customers competing down in Sydney! VIC Drift hosted Drift attack 2011 round 1 at Winton Raceway. The event sore 50 cars enter and some top driving skills battling for the win. Sonic Performance was proud to sponsor the series and look forward to round 2. 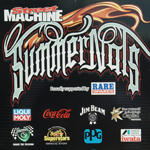 Street Machine Summernats is the "Mecca" for Australian car enthusiasts and V8 fans. 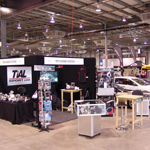 It is hosted yearly in the country's capital city, Canberra. Summernats 24 was a once again huge event that saw 87,000 people through the gates over the weekend even with the weather against us on the Sunday. Sonic Performance by MTQ displayed our large product range, giving us the opportunity to answer questions attendants had, see our customer's cars in action and provide support for this awesome event. Sema Show is the largest annual gathering of automotive brands and performance cars in the United States, 2010 was quite a show! Sonic Performance by MTQ was present, assessing potential products as a result we are able to offer quality products from all across the globe direct to your door. 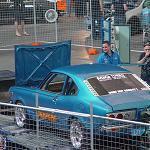 "The Dome" at Sydney Olympic Park had on display a great range of vehicles. The event had a large turnout with Sonic Performance by MTQ and sponsor Gas Motorsport having a joint display. Well done to Gary and the team at Gas for achieving a power figure of 1019.4kw with their GAS2JZ Supra! The Extreme Horsepower Show displayed a diverse range of vehicles including muscle cars, drag & circuit cars, bikes and more. 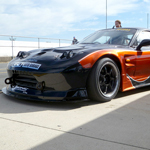 Sonic Performance by MTQ displayed a range of products and showcased 3 cars including Brad Trenworth's Time Attack RX7. 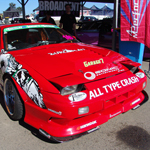 Sonic Performance was a proud sponsor of Sport Compact Jamboree 2010 at Willowbank Raceway QLD. The event was a real success with a great turnout of competitors and spectators. The weather also put a show with perfect weather all weekend! Sonic Performance by MTQ Engine Systems showcased Sonic Performance products at AutoX Expo in Perth, May 2010. Check out some of the dream machines also on show. Gas Motorsport has some awesome machines on show. MTQ Engine Systems is a proud sponsor of their Gold Pro FX Series Celica. 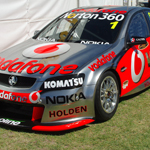 Every year Adelaide hosts the Clipsal 500. 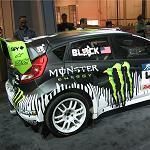 Throughout the weekend auto enthusiasts showcase their vehicles. 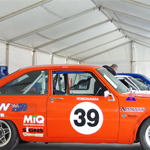 Improve Production and Sports Sedan Racing at Phillip Island.